The spotlight may have been focused on the Maple Leafs high-powered offence throughout training camp, but the defence is set to prove its worthy of attention, too. Players on the Maple Leafs defence may feel a little like the late, great comedian Rodney Dangerfield because, these days, they get no respect. Is this the year the Leafs end the Stanley Cup drought? The spotlight has been focused on the Leafs' high-powered offence throughout training camp, but defenceman Morgan Rielly understands why. "I mean rightfully so. There's a lot of firepower up there," Rielly said. "Obviously adding a guy like John Tavares is very exciting, and we're all looking forward to watching what they can do." On the rare occasions hockey analysts who cover the Leafs have turned their attention to the defence, it's usually to point out that it may not be good enough. Defenceman Jake Gardiner admits that he's heard the criticism. 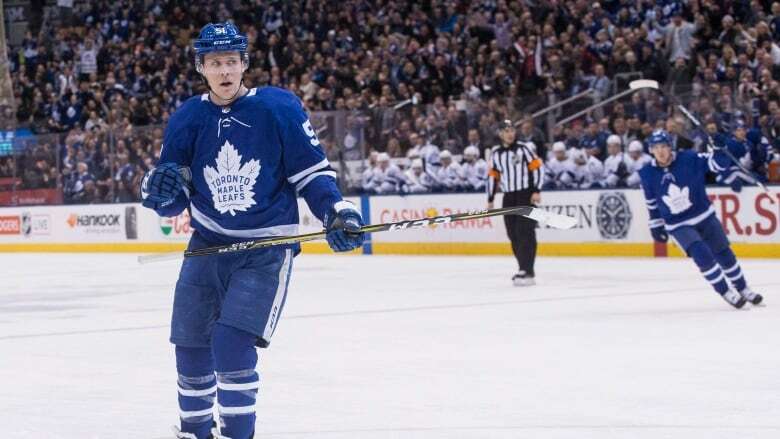 He and Rielly are expected to shoulder a great deal of the Leafs' back-end responsibilities but their critics say they are in over their heads. Many analysts believe the Leafs need another solid blue-liner. "We have a really good group," he said. "And defence isn't just about the defenceman. It's a team game, playing your systems well and trusting your forwards." 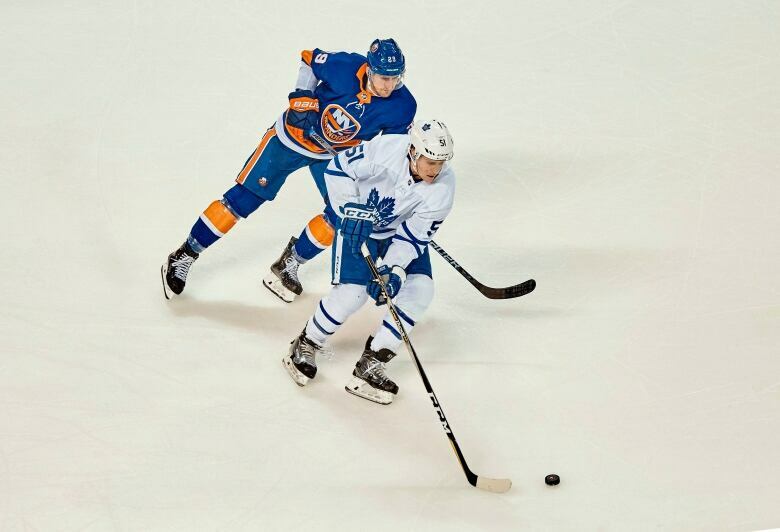 Gardiner is entering his eighth season with the Leafs, making him the team's longest-serving defenceman. He's no stranger to criticism. 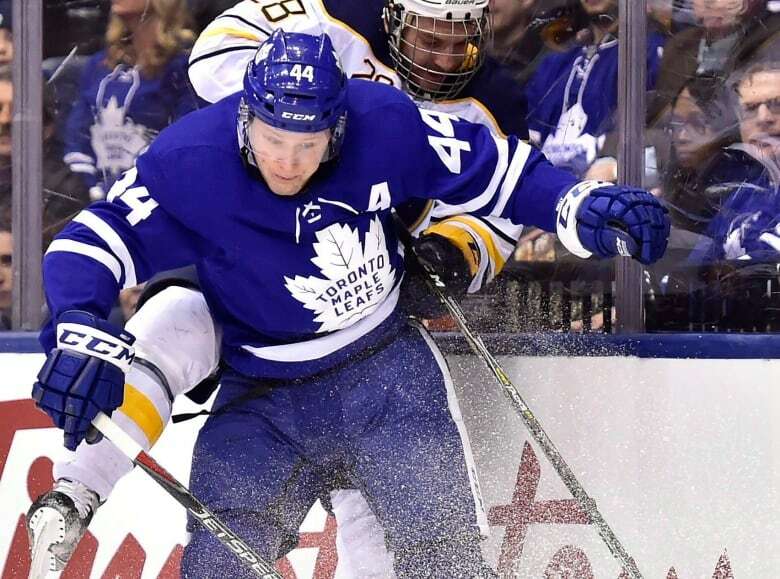 Last season when the Leafs lost Game 7 of their first-round playoff series against the Boston Bruins, many were quick to hold Gardiner accountable. The Bruins beat the Leafs 7-4 in that game. Gardiner was on the ice for five of the Bruins' goals, including the game-winner. 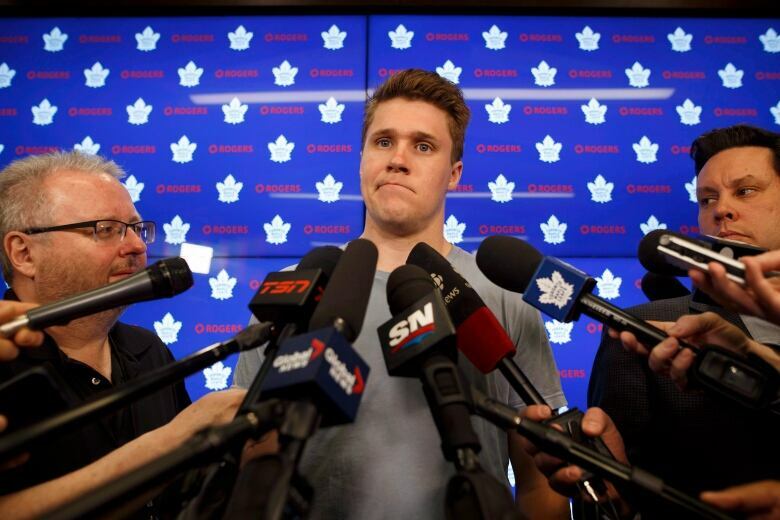 Afterward, in the locker room, an emotional Gardiner admitted to members of the media that he didn't play well. That's in the past now, and Gardiner says he has since become much better at tuning out his critics. "I've been doing it for eight years now," he said. "It just becomes an everyday thing. Some people are going to love you, some people are going to hate you and that's just how it is." Besides, these days the 28-year-old has much more important things to worry about when he's not at the rink. "I did have a baby boy, it's very exciting,"
Gardiner's wife, Lucy Cashin, gave birth to the couple's first child, Henry, two weeks ago. "I used to hang out with Jake," said Rielly, who also used to live with Gardiner. "He's a little preoccupied. I think I've taken a back seat, which is probably the right call." Both Rielly and Gardiner say they will have plenty of time to rekindle their friendship on the road this year. It's one place where they still do hang out. It's also a place where players can escape the scrutiny that often goes along with being a member of the Toronto Maple Leafs.